Travelling abroad has never been hassle-free with the falling Euro. A “golden ticket” also known as U.S. passport may place the world to be dearer but a large difference looms between simply travelling and actually moving abroad. Beirut Storage understands the importance of moving and relocation services, but in this blog we go one step ahead in helping the movers understand and remember vital things when moving abroad. Seek whether you will require a visa or not, if yes what type. Apply for the visa at least six weeks in advance to draft a well-forged plan. Check with the country’s immigration department for its regulations. Unlike moving abroad during a stint where your company assists in your visa process, moving independently requires a tourist visa for an extended stay. 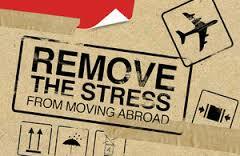 Before moving abroad, draft a budget and try not exceeding it. While preparing a budget, factor in moving prices, exchange rates, and other foreseeable charges. Ensure you have sufficient funds in your savings account during emergency scenarios. Check with your bank and ensure it allows debit card and credit card usage overseas. You may need help moving your belongings with you to a new country or having them stored in utmost security while you’re gone.